Chord Poly streaming module now supports Tidal and Qobuz | What Hi-Fi? The Chord Poly now supports the music streaming services Tidal and Qobuz via third-party DLNA apps. 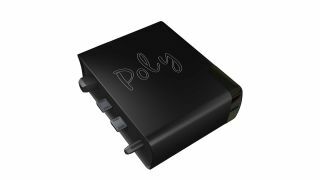 The wireless streaming module for Chord's Mojo DAC/headphone amp has received this feature thanks to a recent software update. It also brings compatibility with internet radio, DSD rendering, and gapless playback (where allowed by the client app). Roon Ready certification is another benefit brought by the new software, offering assistance to Poly users using Roon software. You also get improved network playback performance, including Bluetooth convenience switching to and from Roon Ready mode. A new wi-fi driver comes as part of the update, giving improved wi-fi performance and flexibility. It's also claimed to be faster over 2.4GHz networks. Bluetooth is improved as well, offering better co-existence with wi-fi. And there's now Id3tag support, MP3 indexing support and a general update to MPD. But that's not all. The configuration switch has been improved, letting you switch between Hotspot and Network Mode, and access Hotspot password reset, Bluetooth PIN code reset and factory reset functions. It also lets you update the firmware manually, speaking the options with each button press. Finally, the Android and iOS apps have also been updated. They now let you log into Qobuz and Tidal, and listen to internet radio and add your favourite stations. The update is rolling out now. Here's a video on how to install it.